Sent Jumpin' has been a member since June 25th 2012, and has created 19 posts from scratch. The vintage safety posters did not come along until the 1930s. The campaigns continued on with 1945s “Safety Standards for Fireguards” (fire safety), “The Cycling Proficiency Scheme” (for bicyclists) in 1947 and “The Tufty Club” 1961 (geared towards children with a cartoon squirrel family giving safety tips). Every year or couple of years it seems a new safety campaign would be created for the times. In the 1950s there was Industrial and factory safety, 1960s the drink-drive campaign, 1980s wheel chair proficiency program (for the disabled). Many, many successful safety campaigns were created and the RoSPA is still alive and running today! Great minds think alike. That would be The UK and The USA. I wrote an article earlier this year America Shows Guts With Vintage Community Posters on the WPA (Works Projects Administration). It was started in 1935 as part of the Roosevelt “New Deal” program. 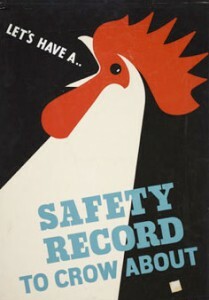 This American program promoted vintage safety posters but also community driven messages to enhance peoples lives and promote hope and prosperity. The program was designed to put people back to work and get positive slogans and messages out. The WPA posters were more of the “woodblock” printing and art deco style. It was a huge advancement in American poster design and printing at the time. But, when examined today, they are aesthetically pleasing collectable little works of art. Our Magical History Tour @ Famous Rock Posters is growing in scope. We began our journey concerning ourselves with the aesthetics, collectibility, and investment quality of vintage rock posters from the 60’s. But, when you research the origins of art and posters it leads you to some incredibly interesting connections and stories. Pieces of the puzzle that would eventually bloom into little masterpieces we called the “psychedelic rock posters”. The history of vintage posters and counter culture evolvement is amazing. Vintage safety posters, propaganda posters, public service posters and even travel posters (1930’s-40’s) were influential and hugely successful campaigns around the world. An effective art form getting a message to the people (for better or worse). In May 2013 I did a piece on American vintage community posters from 1935-1943. Little did I know (until today) that there was a Soviet Propaganda Posters program running almost parallel to the one we had. (Why am I not surprised?) Just think about it. The Soviet Union (now Russia) was our biggest competitor and threat at the same time. (The Cold War, Space Race, nuclear ARMS race, etc.) The posters will be displayed @ The GRAD (Gallery for Russian Arts and Design) in London this summer. Actually, if you look at the focus of each program they are different. The Soviet propaganda posters were specifically targeted to Western culture. Enticing visitors to come see the glamourous, beautiful, picturesque country of The USSR. Posters exuding “we are not the enemy, but a friendly, leisurely, gorgeous and modern place for a trip” with slick language, graphics and colors. The designs of the posters were of an avant garde or art deco type of style. That style was very recognizable and popular in America and Europe at the time. Around 1935 the good ole’ U.S. of A. created The WPA (Works Projects Administration) to put people back to work. The affiliated FPA (Federal Art Project) put artists back to work. It started the Posters Division to enlighten, give hope and inform people of community activities. They were created to make public announcements (e.g. bridge openings, health concerns, cultural events) and give insight into the general welfare of Americans. These posters have an art deco look. However, they are even more stylized through the introduction of woodblock, silkscreening and lithography processing. A defining style and continuity runs through this series of posters that speaks “USA”. Of course with a division named “Intourist” you can imagine the posters were focused on travel. These Soviet propaganda posters are superbly crafted, rare and highly collectable. But, the most glaring thing is, they represent a country that was never there! They were over the top. Some instances suggesting travel to the Soviet Union as exotic as a trip to The French Rivera. As a matter of fact, after examining the posters, you would be hard pressed to distinguish one place from the other. A sophisticated, luxurious destination never to be found. 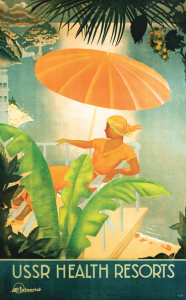 Most of the USSR art deco travel posters were pre -World War II and the program started in 1929. So, it had a very short (if not highly productive) existence. But, after this alluring eloquent campaign to lure travelers from around the world, The Soviets shut it down. During the late 30’s the Soviet propaganda posters program was replaced by a a more “party” driven military / textile poster program promoting the union. Critics have noted these were propaganda driven, as well. These sites are dedicated to progressive rock (more on this later) and tout subtitles like “Your Ultimate Prog Rock Resource”. Speaking of which, Famous Rock Posters.com (this site) is dedicated to artists of all kinds. Music, poster art, commercial art, fine art, graphic art, and literature are all represented here, just to clarify any question of relevance. Anyway, back to the M– USE prog rock show we attended Wednesday night September 4, 2013. It took place @ The Arena at Gwinnett Center-Duluth, Ga. (Metro Atlanta). My wife and I have attended four concerts there , so far. This arena opened in 2003, so it is relatively new (as far as venues go). It actually does feel very new and well maintained. It was well staffed, plenty of options for adult refreshments and clean rest rooms. Lets get to the acoustics of the venue. We got floor tickets (again) because the sound was so good from the last concert we attended there. This Muse concert was no exception. Bass would be thumping your chest but, you were still able to speak and hear over pretty loud volumes. That goes to a great mix and sound crew. I was going to start this article with that quote from Mr. T..”I pity the fool that missed this concert” but, I guess it works just as well here. Yes, it was one of those. It was phenomenal. I said (more than a few times) it felt like I was being transcended into another cosmos. Literally a bombastic, beautiful, wonderful, and colorful assault on all of the senses. Goosebumps, much of the time. Now I may be a little bias here ( because I am a fan) but, this was such an experience I could only equate it to the 1960s Fillmore and Avalon Ballroom concerts we have discussed here many times. The concentration on sound and lights was intense. There was a huge folding cube of LED screens ascending from the ceiling (see attached picture) being fed all kinds of data and live feed.. Also, there was a laser light show like I’ve never witnessed in my life. All of that along with the perfection, power and force of Muse’s musical performance was just about too much. Had us dancing, on our toes, and applauding for more. They also graced us with an encore, which was great as well. Sound like a rock show? It will go in the books as was one of the best! After reading and hearing different view points today, I would have to say its ultimately up to the listener. Progressive rock (prog rock) is usually a fusion between rock and jazz or classical music. (e.g. Emerson Lake & Palmer, Yes, Rush, King Crimson). I personally hear a definite “progressive rock” element in M– USE compositions. Most in this debate would agree with that, I believe. 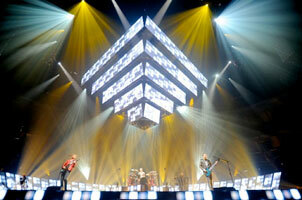 My wife likes the “anthem rock” aspect of Muse very much (e.g. “Uprising”). Anthem songs bring strong clear message usually sung in solidarity. Other examples of anthem rock bands includes (the biggie) Queen (e.g. We Will Rock You), David Bowie, T. Rex, and Mott The Hoople, etc. So, depending on your taste you may not call this a Muse Prog Rock show, it could be titled “Muse’s Arena Rock Show in Atlanta” or “Arena Rock Band Muse Plays Atlanta” or something totally different. It’s just what it is to me. I was resistant to the western canon of literature as a youth. Much of it was required reading in school. But, because I was a rebel or had a general non-interest in reading, it escaped me. What a difference few decades make! A voraciuos reader now, I find books like Aldous Huxley’s science fiction novel Brave New World, fascinating! This futuristic (cautionary) tale of a dystopian (or) utopian society, depending on your perspective, is prophetic in many ways. There can be an argument made for both sides. The book describes a world free of war, disease, violence, grief, mental disease, alcohol and drug addiction. The trade-off is a genetically produced society without monogamous love, family, spiritualism or individual freedoms. Ambition and creativity are frowned upon and extinguished. No personal identity (really) as you are born into a pre-destined class system to do your life’s work. Sometimes you cant help but think, this smacks of Marxism! I sort of backed into reading Brave New World through my research and development on origins and history of the counterculture movement. Huxley has been called the “spiritual father” of the hippie movement. Aldous Huxley’s science fiction novel was published in 1932, but he wrote another one in 1954 which became essential reading for the 60’s counterculture movement. It is titled “The Doors of Perception”. (Can you guess which rock band got their name from that?) It chronicled Huxley’s 1953 experience on the “psychedelic” natural substance mescaline. He would continue ingesting psychedelics (including LSD) all the way up to his death November 22, 1963 (same day and 3 hrs after The John F. Kennedy assassination). 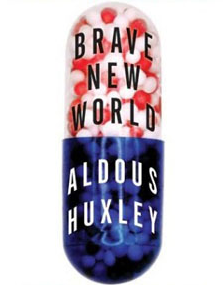 Purchasing the novel today, you will receive both “Brave New World” (1932) and “Brave New World Revisited”(1958). The latter touching on his views, reflections and prophecies of the original novel. Many times he makes heavily biased critiques & comparisons to “1984” by George Orwell (one of his colleagues). World overpopulation, drugs, advertising, politics, dictators, brainwashing and other very controversial topics are discussed and how they will affect the future of mankind. Words of warning from his view in 1958. Brave New World encourages us to keep a close check on our individual freedoms, autonomy and free will. Make sure we are in control of them. Although this tale is melodramatic and an almost unbelievable fantasy, it unveils the bleak side of World Control (and/or) dictatorship versus democracy and freedoms we take for granted daily. Would it be enough to spark the idealists, poets and artists of the early 60’s to drop out and try a sustainable society of their own? Yes, I think Aldous Huxley’s science fiction and other potent literature, music and art of the period had a great influence on what became the counterculture. Will Society End Up Like a Brave New World? Many people you query will say, it’s already here! I’ve heard it. Well, I think thats a nice sentiment (if not an exaggeration) on their part. Even though (since Brave New World) we have discovered cloning and test tube babies, it is doubtful things will ever reach the scale and magnitude of the fictional World State’s Hatchery and Conditioning Centre. A baby factory where new borns are brought up with no family ties or values and conditioned by state behaviorist technicians. After thorough brainwashing as youths, they’re integrated into predestined jobs and class system. It’s not in harmony with what I call “The Way of the World” or Natures Way. It is a very humbling experience being human. Part of that is because we make mistakes and (hopefully) learn from them. How is one to learn and experience life if everything were perfect? And is that life worth living? It paints a bland, gray and uneventful existence to me. Aldous Huxley’s science fiction novel comes off dystopian, evil and corrupt but the society of a Brave New World will never know. They weren’t condtioned that way, so it’s utopia to them. Not to be mistaken for “Jersey Shores” U.S.A., our story comes from across the pond. In August of 1963, world supergroup The Beatles toured The Channel Islands. This leg of the tour incorporated different ballrooms and auditoriums throughout crown dependancies of Jersey and Guernsey in The English Channel. Posters and all types of Beatles rock memorabilia are being made available to commemorate their debut concert tour from 1963. August 6, 2013 (Next Tuesday) begins a 50th Anniversary celebration of The Beatles coming to The Channel Islands. The original tour of the Islands lasted August 6th-10th 1963. 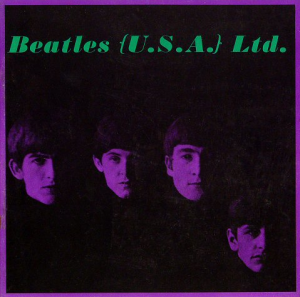 Tracks, LTD. is one of the world’s largest dealer in Beatles rock memorabilia. During the celebration, they are encouraging the public to submit any Beatles artifacts for free appraisal. This (of course) includes rock posters, concert programs, handbills and ticket stubs etc. It works the same way as the TV show “American Pickers”. People have junk in their attic’s or basements they haven’t cleaned out in decades. Only to find artifacts of rock or Beatlemania ephemera that are rare, collectible and sometimes very, very valuable. Tracks, LTD. says for some reason The Beatles rock memorabilia have doubled in value within the last five years. This major increase is much quicker and higher than most other rock ‘n roll collectibles. Also, the value of printed pieces, programs and photos of The Beatles has increased tremendously. They are now more collectable & popular than any other rock stars memorabilia. The general public and collectors are watching rock memorabilia allot more closely and more seriously as investments these days. It is becoming, not just a nostalgic whimsical kind a thing, but something worth investing in. Especially with the sharp increase in value on Beatles rock memorabilia. You actually have a “better than fair chance” of turning pieces around for a profit in a relatively short period of time. Remember, their value has doubled or tripled in the past 2 to 5 years. That’s smart money. Along with Beatle posters and signed Beatle record albums, written material, autographs, fab four clothing, personal items and original posters from The Channel Islands tour are in very high demand. These items will fetch some high bids when auctioned. Also, artifacts of other rock stars are on the rise. Jimi Hendrix, The Rolling Stones, Pink Floyd, Led Zeppelin, The Who and Bob Marley. Rock memorabilia from these artists are highly valued, but not as much as items from the fab four.